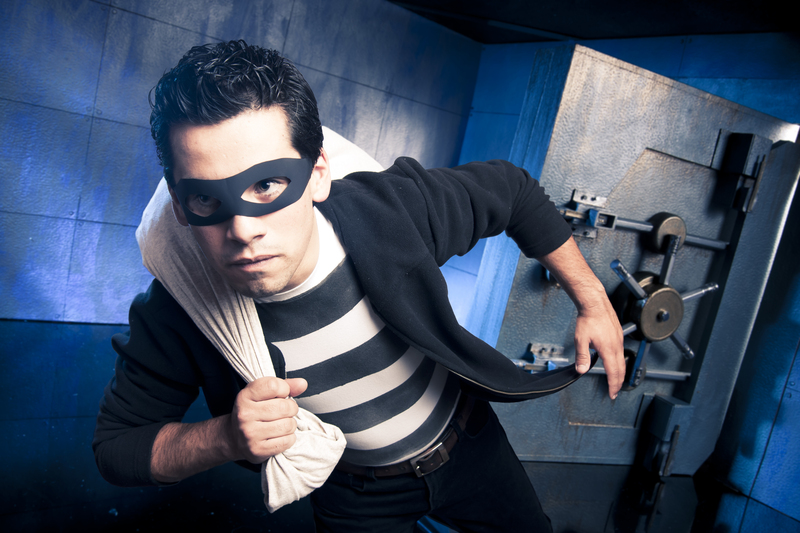 Have you been prospecting like a bank robber? All joking aside, this is a method that many Financial Representatives (FRs) consider “prospecting.” They place the QSs they score during meetings in CRM and feel very victorious. That feeling begins to wane when they actually begin phoning. Using the “bank robber” prospecting method, you have loosely gained permission during your meeting to “use someone’s name” when phoning a feeder list that your prospect or client has only glanced at quickly. People don’t know who you are and may not pick up the phone, let alone agree to meet with you. While some FRs do successfully set meetings and write business this way, I suspect that they are missing out. Usually when FRs use this technique it’s because they hate prospecting, are uncomfortable and it’s the fastest way out of discomfort. Most prospects or clients will go along with it because agreeing that someone can mention your name is a very low commitment. If you are ready to ask a little more of yourself and the nominator, put the feeder list down and back slowly away. Let’s chat for a moment. Why are you so uncomfortable prospecting? If your hunch is that it’s really the nominator who’s uncomfortable, if you really look within, is it possible the discomfort you’re sensing starts inside you? Prospecting is a huge pain point for FRs nationwide because it calls our deepest fears and insecurities out: what do people think of me? What if people reject me? What if so one will give me referrals? Really getting to the heart of this is what it takes to fully maximize prospecting and crush it in the business. 1) Begin by acknowledging that you are just performing a task that is your job. Police officers write tickets, nurses give shots, teachers assign homework and parents declare bedtimes. FRs ask for referrals. Remind yourself of this fact daily. 2) Acknowledge your discomfort and challenge yourself a step at a time to build lasting change. Discomfort equals growth! Raw fear equals a possible setback. 3) Slow down! Slow down even more! Leave enough time at the end of the meeting to discuss prospecting: what you’re really asking of the nominator and for a few details about each person on the list. 4) Next, ask “would you be willing to help me?” Ask the nominator to let each person on the list know who you are and why you will be calling. Make sure you have genuine permission. 5) Follow up with a written thank you note (in your own hand) to the nominator. If you agree that your “bank robbing” days are over, face your fears and know that you are one of thousands of FRs who feel this way. This fear is likely showing up elsewhere in the business. It will continue to hold you back until you’re ready to embrace your worst fears and relax into a state of authenticity. Accept who you really are even if you’re a little shaky and unsure. You are already better than you realize or can probably imagine. Coaching Tip Feeder lists are not the problem! Any tool can work for or against you depending on how you use it. Take a moment to examine if you are using tools in your practice to avoid discomfort or to genuinely move something forward. If you are honest with yourself you will get more out of tools or find you only need them once in a while.